As we celebrate Spring and Easter, it is definitely a time for new beginnings. I wanted to share an Armenian tradition of new beginnings with you, taught to me by my dear Mother-in-law, Varna. It is a special church service, held on the anniversary of the death, called the Hokee Hunkis. The family reunites at the service to pray together and support one another, as they make a commitment to move on with life, after the “time of mourning” is complete. 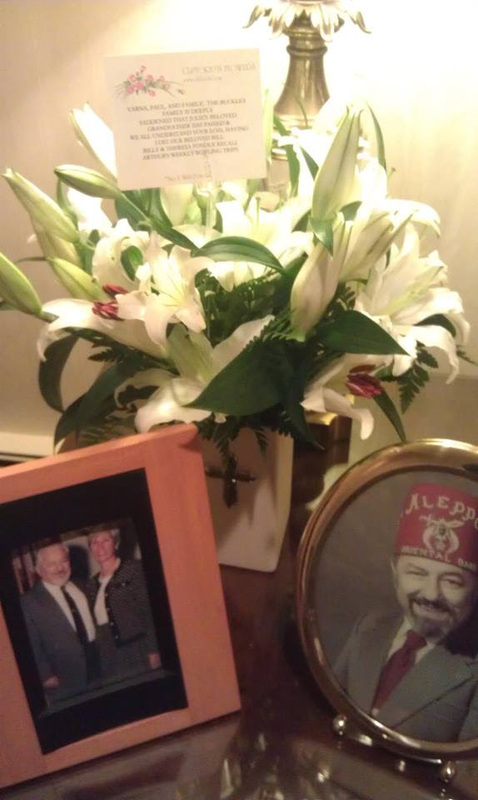 Just a few weeks ago, Varna experienced the anniversary of the passing of her beloved husband, Hrach. Since she met him at age 16, he was part of her life for 71 years. It was a huge adjustment for her, when he was gone, as she had never know life as an adult without her husband. I made a promise to her, to support her by phone over this past year. Since I had several years experience as a widow; I knew I could understand her pain and fear, while rejoicing in all of the small victories that one experiences during the healing process. Every week, we talked about everything and anything. I kept reminding her that her sadness was OK to experience; and that every time she allowed her tears, she would find herself getting even stronger, not weaker as some folks mistakenly believe. I always remind people that tears are actually a tribute to how deeply you loved. Then people slowly begin to see their tears as a type of memorial gift to the beloved. So when I called this sweet woman, on the Sunday afternoon that followed the day of the Hokee Hunkis service, I knew she had many guests at her house, so I kept my conversation short. I told her I had been thinking of her, and praying for her and the family on the anniversary day. I said I was thrilled to see Hrach’s picture on Facebook that morning, when his first-born grandchild, Lori, wrote about how important he was to her. Then I asked Varna how she felt after the church service. Her answer was powerful. “I feel a lot lighter, like something heavy has been lifted from me,” she replied. Since she also lost her younger brother, her only sibling, last year; I knew how heavy her heart had been. Learning about the Hokee Hunkis tradition, to move on with life at the end of the year of mourning, was very helpful to me in Susanville CA in 2008. As I approached the anniversary of Rodger’s death, I knew I needed to do something to mark the occasion and celebrate the fact that I was able to do my grief work 2,600 miles from home, while working in a small town in Northern California. I invited all the friends in my support circle to my favorite Thai Restaurant. I called it my “Farewell to Widowhood Party”. At the party, I talked about Rodger and how he impacted my life in our 13 year adventure. Then I spoke about how scared I was, when financial challenges caused me to have to take a job in a town I had never heard of, 80 miles north of Reno NV. I expressed my gratitude to all the folks at the table, for supporting me and loving me for 10 months of that first year. Finally, I spoke of my goals for the next year. We ate great food and toasted Rodger’s picture in the middle of the table. I, too, felt a lot lighter at the end of that year of healing. If you have any stories about the anniversary of the passing of your loved one, feel free to share them on this page.